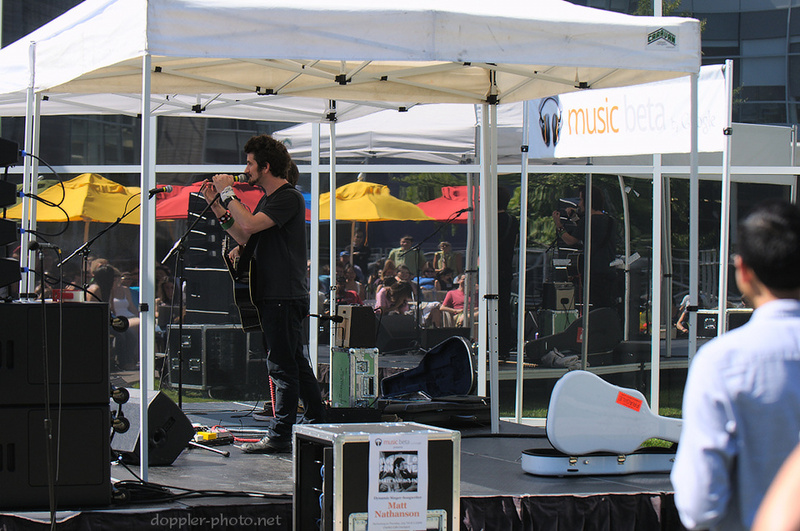 Earlier this month, singer-songwriter Matt Nathanson played an outdoor concert at the Google Mountain View campus. This was the second in the Music Beta by Google summer concert series, which opened with soul/jazz artist Meklit Hadero. As the show progressed, the thing that struck me about Nathanson was how much he interacted with the audience. I wasn't counting, but it certainly felt like he spent half of the time playing and the other half joking around and making wisecracks. One of my favorite jokes was about how Google must have specifically hired shirtless volleyball players, since "keeping a body like that is a full-time job." Above, he combines both aspects of the show by satirically impersonating Enrique Iglesias while playing a few bits of Iglesias' hit song "Hero." 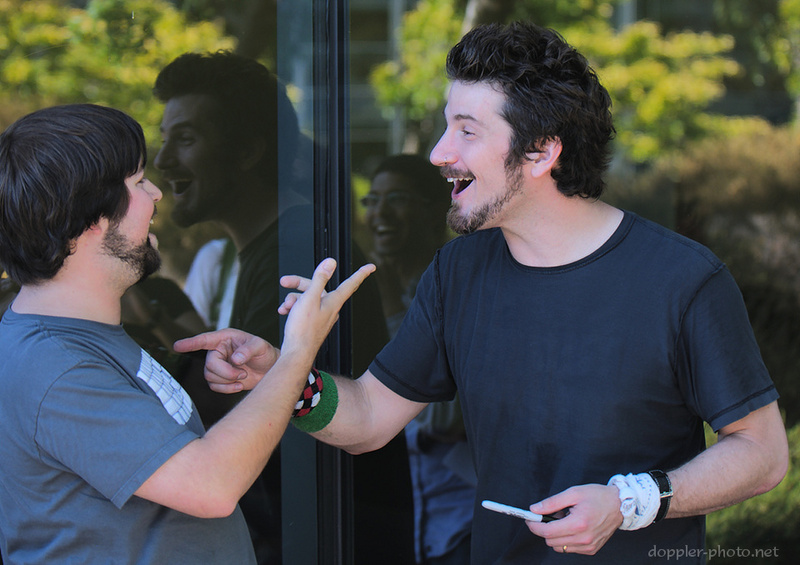 The interaction with the audience continued after Nathanson was off the stage. He spent a minute or two chatting with each person in line, and seemed to find something interesting to discuss with each of them. Above, he has a moment of realization as he figures out the pun in a fan's "Space Bar" t-shirt. After the line of people had gone, I specifically asked him about the interactions, noting that he spent considerably more time with each person than other artists I've seen perform in the past. 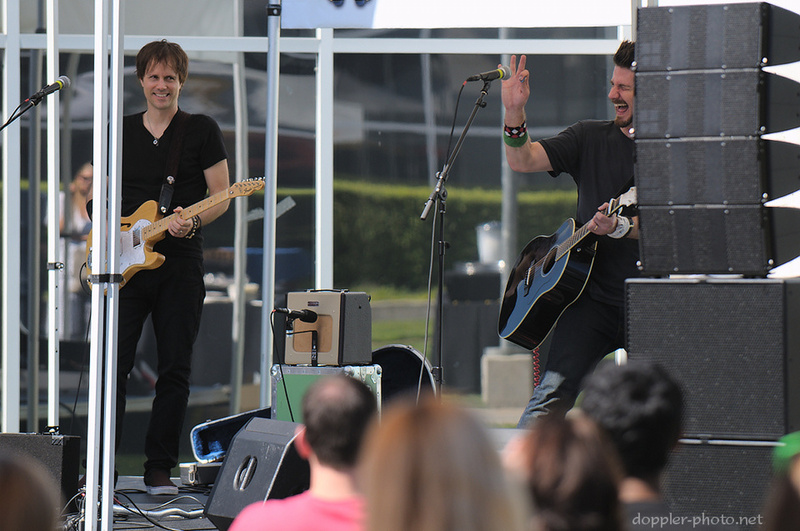 Nathanson responded that he didn't really consider a concert complete until he could circle back and hang out and interact with the folks from the crowd. Click here to check out the rest of the photos from the concert.